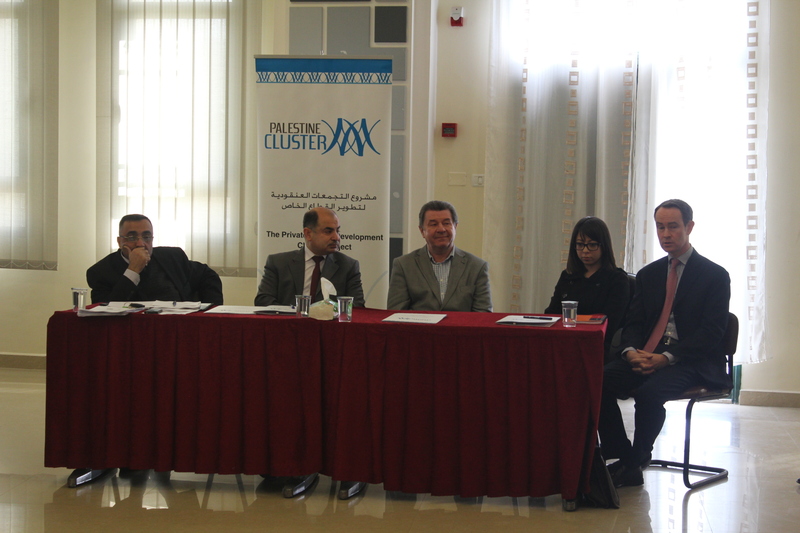 The Leather and Shoe Cluster has held a strategy planning workshop in Hebron on Monday February 24th, 2014. Representatives from the MoNE, the AFD, the FPCCIA, HCCI, the Palestinian Federation Industry, Federation of Leather Industries, along with others working in the leather and shoe cluster in Hebron have attended this workshop. The workshop was launched with a presentation of the situation analysis for the Cluster, by the cluster manager Mr. Mohammed Husain. This included a detailed explanation and analysis of the cluster’s current situation, based on random samples from the value chain members. The samples were taken from the value chain and included tanneries, designers, and importers. Moreover, the cluster manager developed a SWOT analysis, detailing the strengths, weaknesses, opportunities and threats that may face the cluster. At the end of the presentation, the guests voted and prioritized areas for improvement within the cluster. This helped to develop a strategy and a work plan. The guests were divided to working groups and discussions took place on activities and suggested projects to support the cluster in Hebron.